Over time, I've discovered resources that have helped me a great deal, both in my personal life and in my businesses. I've included a list of them here on our Resources page, for your convenience. Great stuff for you!! Awesome!!! (I do receive an affiliate commission on some these resources. A Life Changing Experience ... Magical! The Master Key System was written in 1912 and really served as the platform for Napoleon Hill. He used the Master Key as a basis for the interviews he conducted for over 25 years to formulate that astonishing Think and Grow Rich philosophy and writing. 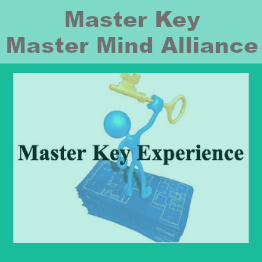 The principles of the Master Key Mastermind Alliance today are sound success principles. Principles that Mark J, the founder of MKMMA, applied vigorously in his own life. Enjoy. And if you have any questions, feel free to contact me on via Facebook at Edina Business; Twitter, @edina3535; or through the contact form at the bottom of the home page.